American, watercolor on paper. A bird's eye view of the Lehigh Gap, in present day Slatington, Pennsylvania. Location sited and dated Lehigh Gap, July 25th, 1846 lower right; 10" high x 16.25" wide (sight). 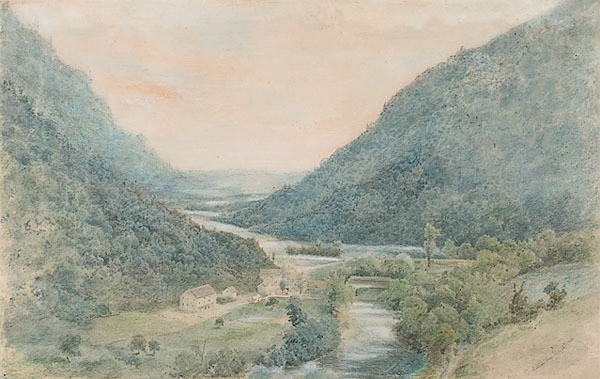 unknown, “Lehigh Gap, Pennsylvania, 1846 Watercolor,” Slatington Postcards, accessed April 19, 2019, http://slatington.ctevans.net/project/items/show/261.